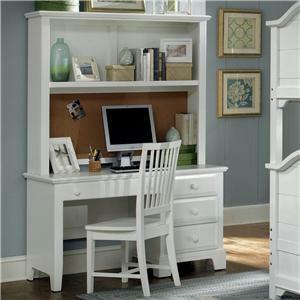 Provide a space for your computer that echoes the sentiments of classic functionality, and hides all of your computer accessories neatly in one space. 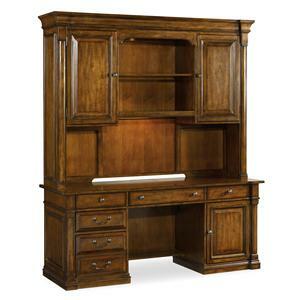 Featuring a leather top, computer tower storage, pull out writing surfaces and a drop center keyboard drawer, this comprehensive unit adds organization and style to your home. 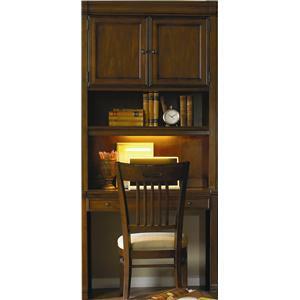 The connected hutch features two glass doors, embedded can lighting, and six additional shelves. 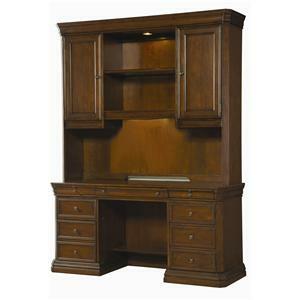 The 7-9100 Executive Credenza with Hutch by Hekman at Stuckey Furniture in the Mt. Pleasant and Stuckey, South Carolina area. Product availability may vary. Contact us for the most current availability on this product. 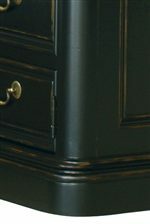 7-9141 Executive Credenza 1 72" 24" 30"
7-9142 Executive Deck 1 73" 16" 54"
Finish & Paint Options Deep black with distressed edges. Handles & Hardware Burnished handle pull and knob pull hardware. Drawer Suspension File drawers feature metal slide drawers. Description: Top Some pieces feature leather tops. 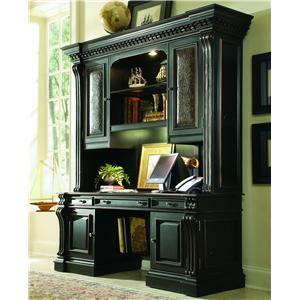 Outfit your home office with sensible style and and thorough organization with this collection of office furniture in your home. 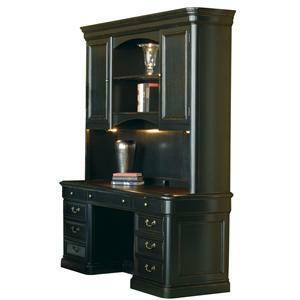 Smart organization details, computer storage options, embedded lighting, and sophisticated style completed in a deep distressed black finish, create stately executive styling and efficient functionality for your home. 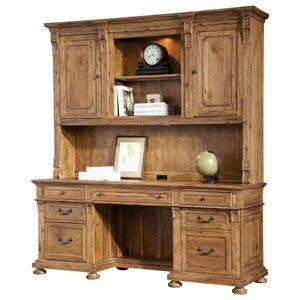 The 7-9100 collection is a great option if you are looking for Traditional furniture in the Mt. Pleasant and Stuckey, South Carolina area. 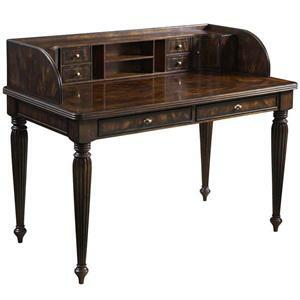 Browse other items in the 7-9100 collection from Stuckey Furniture in the Mt. Pleasant and Stuckey, South Carolina area.